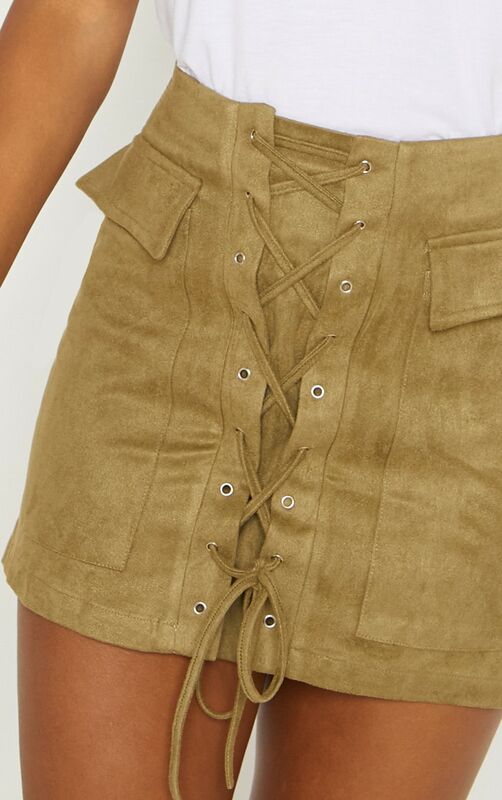 Girl what's not to love about this mini skirt? 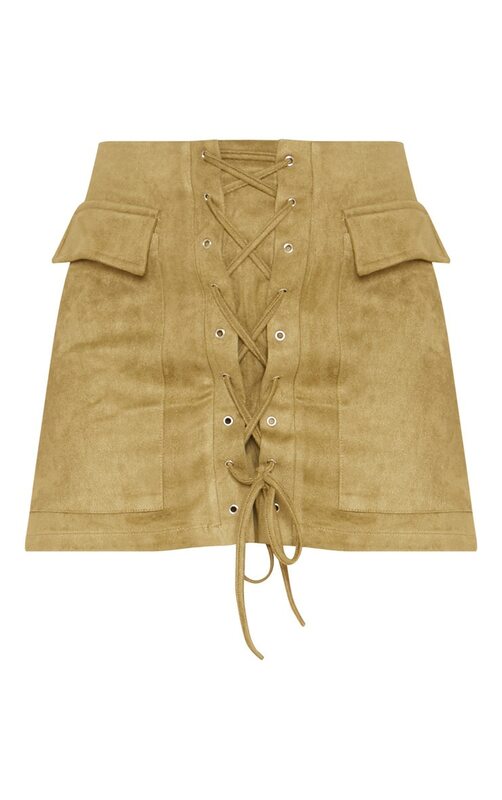 Featuring a khaki faux suede material with a lace-up front detail and a pocket detail. 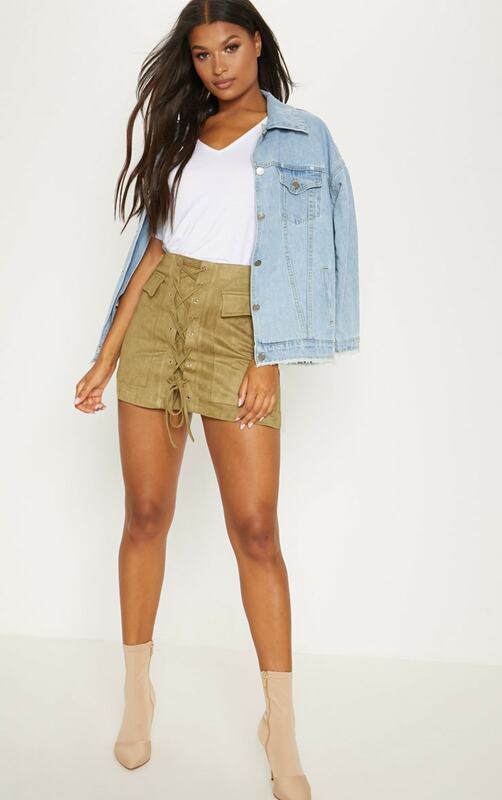 Style this skirt with a simple tee and heeled boots for an off-duty look we are loving.